The USB-C Cable + Car Charger makes it easy to charge your USB-C smartphone or tablet in your car. The 6-foot USB-C cable and robust charger offer 2.1 Amp output for charging that’s up to 30% faster than 5 Watts. What’s more, the car charger’s USB-A port is universal so can be used with other cables to charge a variety of other devices, including smartphones, tablets, wearables or anything that charges via USB-A. 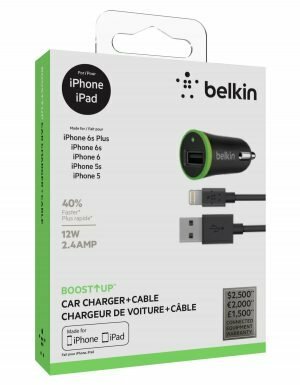 The BOOST↑UP™ Car Charger comes with a four-foot Lightning to USB cable, so you can charge your Lightning connector devices at the fastest possible speed. The smaller, more durable Lightning connector is reversible, which makes plugging it in easier than ever. And because it’s removable, the cable can be used anywhere-plug it into your laptop to charge and sync, or use your own car charger to charge on the road. Great as a replacement cable or if you simply need an extra. 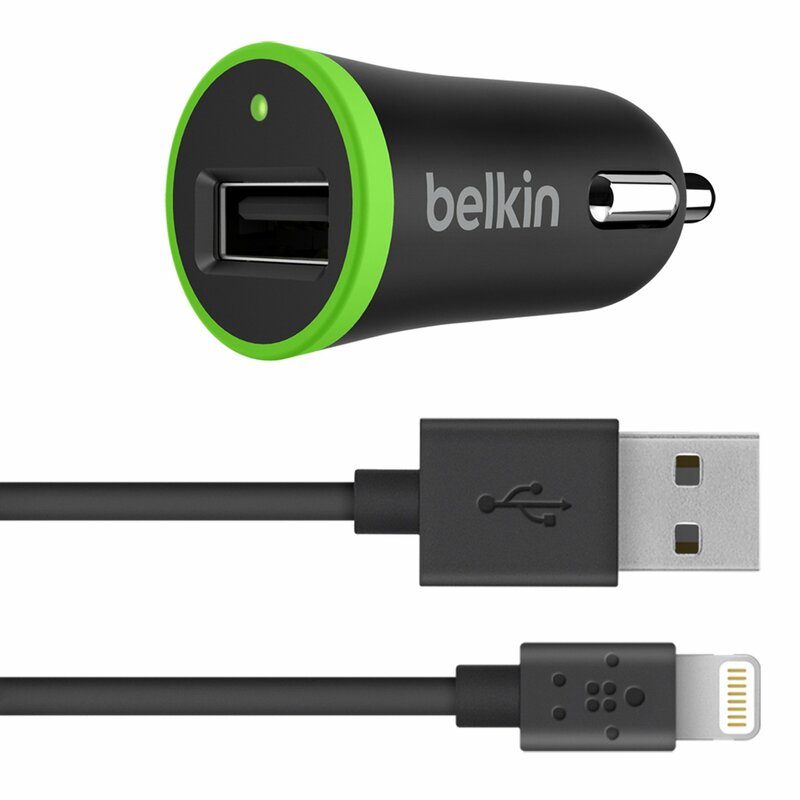 The Belkin BOOST↑UP™ Car Charger is fast, but it’s also small. Plug it in, and it seamlessly blends in with your car’s interior. Use the ultra-fast Belkin BOOST↑UP™ Car Charger with your own Lightning to USB Cable to charge and sync your phone or tablet. Or plug in your 30-pin cable to charge other Apple devices. It’s the best charger for when you or your passengers have a different device that needs a charge.